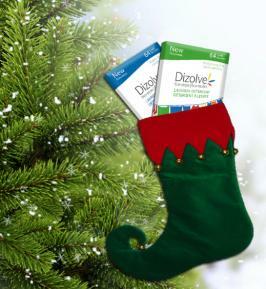 Use code SIERRA2014 at checkout before December 31, 2014 and receive 20% off your entire purchase of DIZOLVE! 20% of the profits go to our #SaveTheBees and other important programs! Last year I wrote to our supporters introducing them to this great laundry product. So today I am pleased to be able to offer you another chance to stock up on these feather-light, safe and environmentally friendly laundry strips. No more lugging boxes to the basement or laundry mat! Below is the blog I was working on Wednesday while our building in Ottawa was in lockdown. It would not have been possible without the sacrifice and courage demonstrated in front of the War Memorial and in the halls of Parliament. I speak on behalf of the entire Sierra Club Canada community in expressing our gratitude, our sorrow and our hope this never happens again. 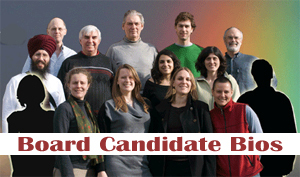 Next week I'll be attending the 25th anniversary meeting of the Climate Action Network Canada -- an organization I led from 1998 to 2007. I had no idea I’d end up with the job when Kai Millyard called me about forming the network back in 1989. Listen! Can you hear it? That's a 300 year old oak tree singing in your ear! It's true. The song is called the 'Ballad of the 300 Year Old Oak Tree ' and it's been created for you and me and every Sierra Club of Canada Foundation supporter. You can buy it for 99¢ from iTunes and we will receive the royalties! A few weeks back I received a call from Dihan Chandra, owner of the eco-store OrganicLifestyle.com. Impressed by our work, he offered to donate 10% of his profits from purchases made between October 6 and 15, 2014. I said that’s great! But that’s not all. Organic Lifestyle is also offering you and all of our supporters 10% off any purchase over the same time period. What could I say but - happy to pass it along! To conserve or not to conserve? Our Ontario heroes at the Green Energy Coalition (GEC) have saved Ontario-rate payers billions on their gas and electricity bills over the years. They did it by convincing the Ontario Energy Board (OEB) to uphold and enforce strong energy efficiency rules. It is the hard slogging research, legal, and economic work that gets little attention or recognition because it's complicated, boring and absolutely essential. So I want to give the GEC a shout-out of gratitude. GEC’s David Poch and Kai Millyard do their work quietly in the background, so when they expressed exasperation the other day, I sat up in my chair. Important matters the GEC are pursuing need more support, so I thought: “It’s time to lend them a hand”. Something has gone wrong at the OEB and unless we marshal a lot of support, years of work and billions spent on smart meters and other conservation measures will be lost. I’m headed to New York City this weekend to march with tens of thousands for climate action. A number of people have been ruminating on the wisdom of travelling so far, with its carbon implications and use of resources. But as we saw with the Arab Spring, revolutions are won when people stand arm-in-arm for justice. That’s why I’m going. I made my decision a few minutes ago after a call with the “Lobby Monitor”. They obtained a copy of the briefing binder given to Greg Rickford earlier this year (Rickford replaced Joe Oliver as Minister of Natural Resources in March 2014) and I was asked if I wished to comment on his instructions to obtain the infrastructure necessary to export oil and diversify markets (read: find new Asian customers). My brother liked to throw things at me shouting “THINK FAST!" Now I’m doing it to you! August 29th is the Canadian Nuclear Safety Commission's (CNSC) deadline for comments on its “Hypothetical Severe Nuclear Accident and Effectiveness of Mitigation Measures" report. You can send yours here. Sorry for giving you so little time. Back in 2012 we all urged the CNSC to consider what would happen if a Fukushima-scale accident took place in Canada. Would the CNSC's emergency measures have been effective? The National Energy Board (NEB) is continuing its undemocratic approach to pleasing its master: the oil industry. Most recently, the Calgary-based rubber stamp is trying to use the summer to hide yet another concession. On July 11th the NEB said it was going consider a request from Imperial Oil and Chevron to weaken the rules for offshore drilling in the Arctic and gave the public until August 1st to comment (some strong arguing won an extra two weeks).